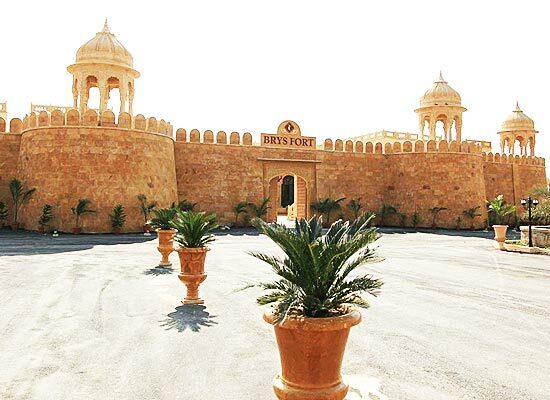 "The Brys Fort is more than just a heritage style hotel in Jaisalmer. It offers an amazing opportunity to one and all to convert their vacations into something truly spectacular. It is a chance to live like the Royals of Rajasthan. It is an offering to get in touch with the lives of Maharajas who have blessed this beautiful state with glory and joy. A stay in this hotel is not going to fizz off from one's memories any time soon. When Brys Fort was being built, the architects thought to design a structure that truly evokes the unforgotten memories of erstwhile days of battles, pride, royalty and glory. The medieval architecture of the hotel truly blends with the 21st century facilities that are provided here. The architecture and décor of the building is reminiscent of ramparts of Jaisalmer Fort. At Brys Fort, the legacy off Rajput lives on. 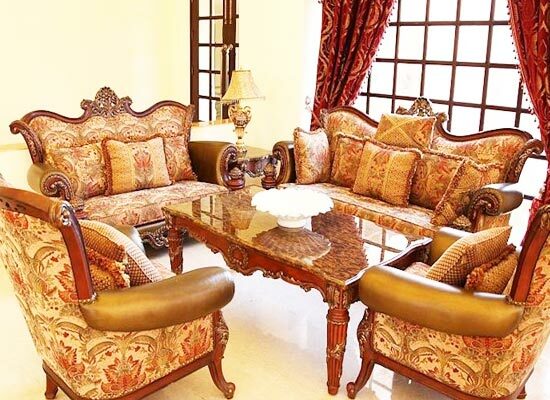 Brys Haveli: The large Presidential Room contains 1 Drawing room along with a Dining Room, a kitchen and 3 Bedrooms. Those who stay in here enjoy marvelous views of Jaisalmer City and Fort. Hindola Mahal: The royal room, whose architecture reflects rich heritage of India, offers a stay in paradise. Ras Mahal: A stay in this suite is filled with sophistication and detailed personalized services. Deluxe Room Garden View: Guests who stay in here enjoys all modern amenities along with amazing Garden view. Deluxe Room Fort View: These rooms offer the best possible views of the glorious Jaisalmer Fort. 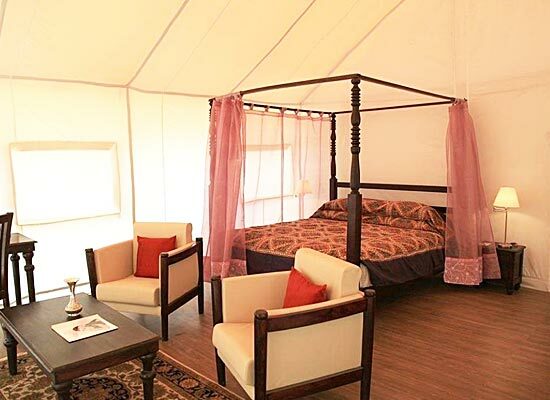 Royal Tents: With a stay in these tent rooms, one surely gets connected to Indian Royalty who stayed in tents when out on a hunting activity. 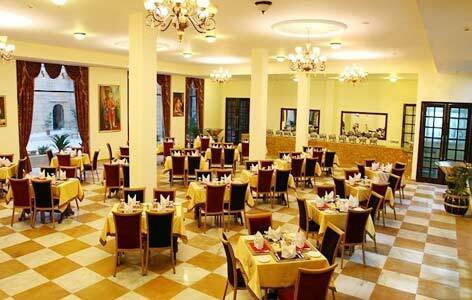 Rooftop Restaurant: The multi-cuisine restaurant provides authentic taste of regional Rajasthani and Indian delicacies along with exotic International cuisines. 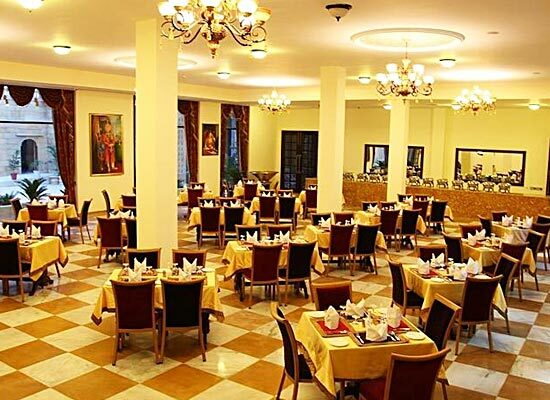 For health conscious guests, special balanced diet is also prepared in this restaurant. Madhhhosh: The guests come here for enjoying, partying amidst groovy music and along with wide range of liquors and finger food. The desert city of Jaisalmer is an intriguing tourist destination in India. The city attracts travelers because of its age old charms that are present in the entire town. Be it the majestic forts or palaces, or the delicious food or even the pulsating and loud bazaars, everything around Jaisalmer is unique and one of its kind in the whole wide world.